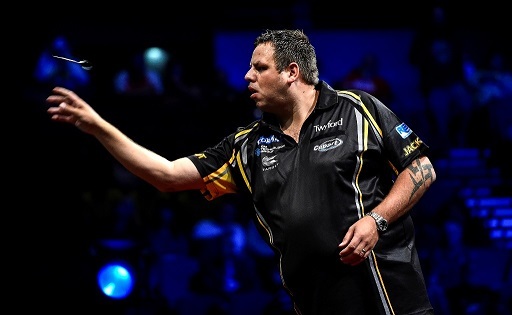 ADRIAN LEWIS came from 4-1 down to edge out Australian star Simon Whitlock in a final-leg thriller at the Coral Sydney Darts Masters, as Phil Taylor began his bid for a third successive title with a 6-2 win over home hope Clinton Bridge. Two-time World Champion Lewis had looked set to suffer a first round exit at the Qantas Credit Union Arena when he fell 4-1 down to Whitlock, who capitalised on a slow start from his opponent by finishing 140 and 100, as well as a key 68 checkout. 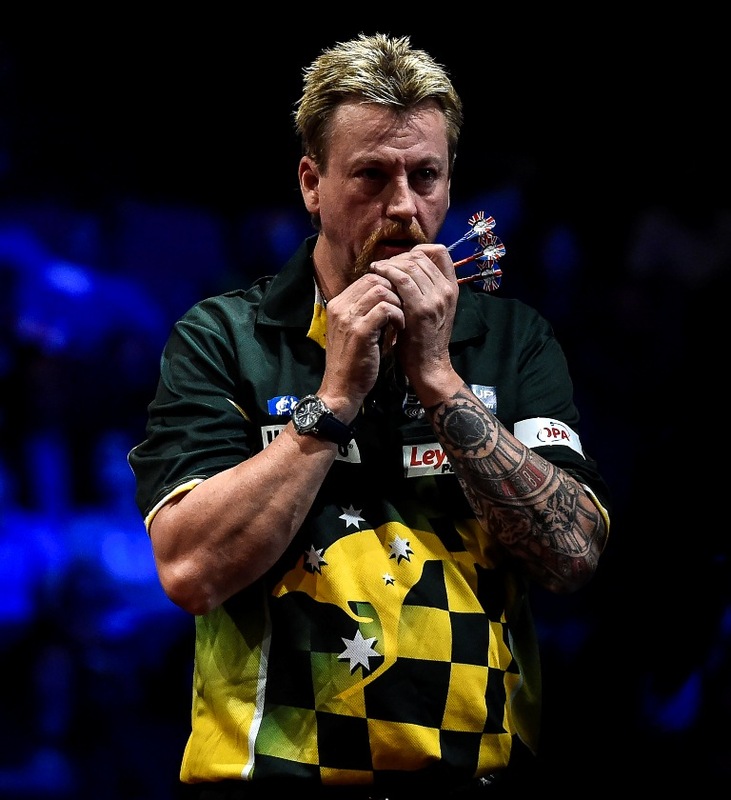 Lewis, though, fired his challenge with a 177 as he took the sixth leg, before checking out double ten to continue his revival and double five to level in leg eight as Whitlock was punished for missed doubles. 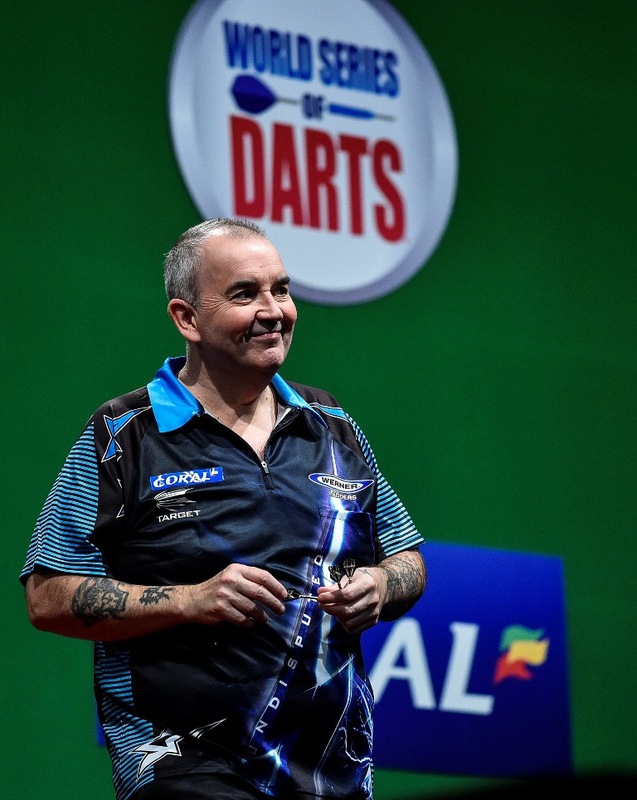 Lewis then claimed a fourth successive leg as he posted double five to lead 5-4, and though he missed one match dart in the next as Whitlock forced a decider, the Stoke star produced a timely 11-darter to complete a gutsy fightback. "I'm pleased to get through that because Simon's a top ten player, but I wasn't happy with my own form," admitted Lewis. "I was frustrated with myself but I got away with it in the end. My final leg was great - I went out in 11 darts and he'd have had to hit a nine-darter to beat that, so it was pleasing to win like that." Lewis now takes on World Champion Gary Anderson in Friday's quarter-finals, after the Scot brushed aside New Zealand's Warren Parry 6-0. Parry initially missed three doubles to claim the opening leg as Anderson stepped in on double five, before the Scot posted a 180 in a 12-darter to move two legs up. Further maximums helped Anderson into a four-leg lead and he punished missed doubles from Parry to win the fifth on double two, and the Premier League champion then posted his fourth 180 before hitting double ten to seal his place in the last eight. "I wasn't happy with my performance and I can improve on this, but I got the job done," said Anderson. "He had a few chances but couldn't convert them, and I got through. My average was about 95 tonight and I'm still not happy with that - I want to be 100+, but I'm through and that's what matters. He was more or less a home player so the crowd were on his side, and it makes it that wee bit harder." Reigning Sydney Darts Masters champion Taylor continued his incredible unbeaten record on Australian soil in the PDC World Series of Darts with a 6-2 win over Clinton 'Tic' Bridge in their first round game. Taylor has won both the 2013 and 2014 Sydney Darts Masters events and also retained his Perth Darts Masters title last weekend, with the victory over Geelong-based bricklayer Bridge seeing him move to 17 matches without defeat over five events. Taylor kicked off the game with a 180 before taking the opening leg in 13 darts on double four, but Bridge levelled by finishing 84 before following up double eight from the Stoke legend with a 60 checkout in the fourth. Taylor, though, opened the fifth leg with a 180 as he regained the lead on double ten, before taking a game-changing sixth leg with a stunning bullseye to finish 85 - after Bridge had missed the single 16 to leave tops when needing 72. Taylor then took out double 18 to move 5-2 up before sealing victory in style by hitting another 180 and then taking out 127 on the bull. "I love Australia and I'm enjoying every minute of this trip so far," said Taylor. 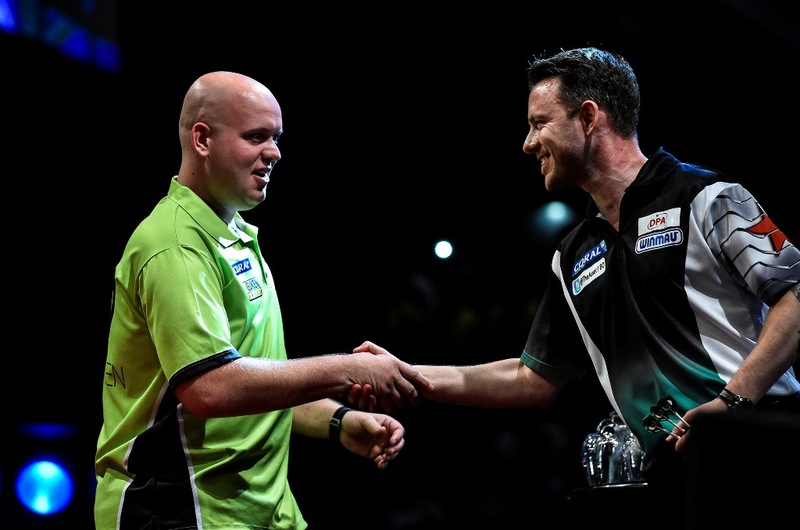 "It's good to get this game out of the way because he's a good little player and I know he's beaten Barney before. He finished well under pressure and when you're level at two-each you don't know what he's going to do. Everything starts to go through your mind so I can relax now that I've got this over with." Taylor now meets Stephen Bunting on Friday in a repeat of last year's final in Sydney, after the St Helens ace began his bid to go one better this time around with a commanding 6-1 win over David Platt, hitting six doubles from 12 attempts in a clinical win. Bunting finished 109 and 110 as well as a 14-darter as he won the first four legs without reply, before Platt hit tops to get off the mark. 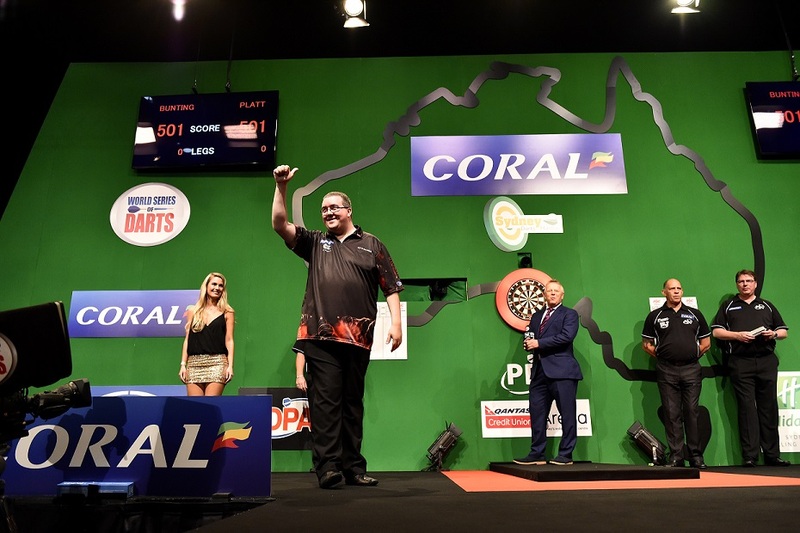 However, any hopes of a comeback for the DPA Australian Grand Prix number two were quickly ended as Bunting finished 75 for another 14-dart finish before landing double eight to seal the win. "It's lovely to be back in Sydney," smiled Bunting, who lost in the first round of last week's Perth Darts Masters. "Reaching the final here last year was a big boost for my career and I'm hoping to go one better this week. I learned my lesson from last week in Perth when I went 3-1 down to Kyle Anderson and found it difficult to come back. I've changed a bit this week and made sure I started well. I've been one of the most consistent players in the World Series this year, and hopefully I can push that up to 100 averages. Sometimes it's easy to find the wins but for whatever reason I've struggled to get over the line in the last few tournaments, so hopefully I can build on this win." Dutch pair Michael van Gerwen and Raymond van Barneveld will meet in a tasty quarter-final contest after they both won through on Thursday. World number one van Gerwen defeated Paul Nicholson 6-2, taking command by winning three of the opening four legs, with scores of 180 and 171 at the right times helping him into the lead. Nicholson responded on double ten, but missed one dart to level in the sixth as he was unable to land double 16 to complete a 106 finish, allowing van Gerwen back in on double one. He then took out a 13-darter to move to the brink of victory, which was sealed as he took out 70 on double eight. "I lost in the first round here last year and I didn't want to do that again, so I'm happy to get the win," said van Gerwen. "Paul's a fantastic player but I wanted to perform and I played okay tonight. I want to show more in the next game because I feel confident and I can't wait to play against Raymond again." Van Barneveld, meanwhile, overcame his Sydney blues to pick up his maiden victory in three attempts in the tournament with a 6-3 defeat of New Zealand's debutant Cody Harris. Van Barneveld had lost out in the first round in the past two years, to Clinton Bridge and Kyle Anderson respectively, but held off a late rally from the DPA Qualifier to seal his last eight spot. The Dutchman won the game's opening four legs without reply, breaking in the first and third, landing a 180 in a 14-darter in the second and tops to establish command. Harris hit back on tops, and after van Barneveld posted another 180 in the next, the 29-year-old newcomer took out double ten and tops to pull back to 5-3 - but the five-time World Champion swiftly ended his hopes by finishing 82 on double 16. 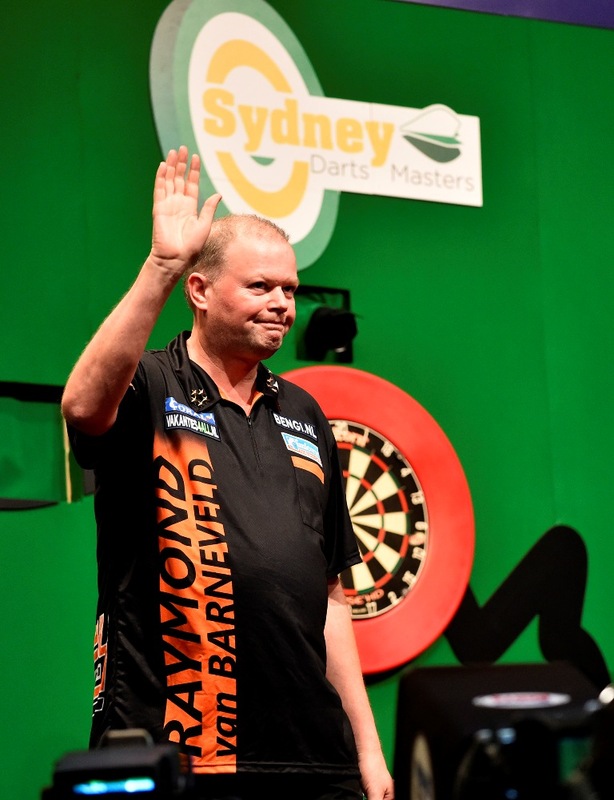 "It is a relief for me because I've never won in Sydney before," admitted van Barneveld. "It's hard when you don't know your opponent and Cody could have come back at me, so I had to keep my focus and I got there in the end." James Wade knocked out New Zealand's Craig Caldwell with a 6-2 triumph as the Perth Darts Masters runner-up began his campaign in Sydney with a solid victory. Wade finished tops and double 16 to win the first two legs, and landed a 180 as he moved three legs up before the DPNZ Qualifier took out 70 on the bull to hit back. The left-hander then landed double eight and double five to move a leg away from the win, with the New Zealander finishing 64 to hit back before trading 180s with Wade in the next, but it was the world number six who claimed the leg, and victory, with double ten. "I've heard a lot of good things about Craig and he's shown in the last couple of weeks that he can play darts, so I'm happy and I can move onwards from here," said Wade. "It would be great to go all the way this week but these are the eight best players in the world so you have to play well. I'm excited, I'm enjoying my darts, I'm privileged to be here in Sydney and I'm looking forward to playing at the moment." 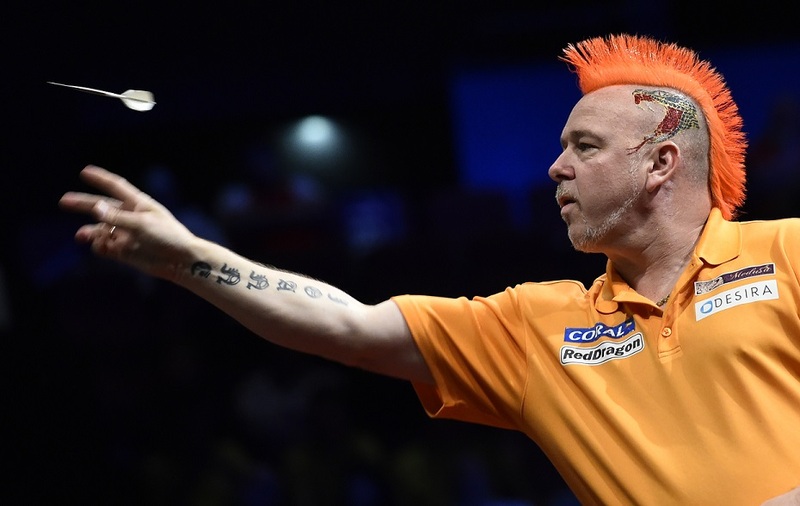 Peter Wright set up a quarter-final against Wade with his 6-3 win over Loz Ryder, the DPA Australian Grand Prix number one. Despite a 180 from Wright in the opening leg, Ryder finished 76 to move ahead, only to see the Japan Darts Masters runner-up take out a superb 139 finish to level before breaking on double four in the next to move 2-1 up. Wright also hit tops to move two clear before Ryder hit back on double eight, with a 104 finish edging the world number four 4-2 up only for a 13-darter to see the deficit hard. Tops, though, restored Wright's cushion before he hit the same bed in the next to seal the win. "It was a bit nerve-wracking because Loz is Australia's number one at the moment and he's improved since last year, so there was a lot of pressure on me," said Wright. "I was a bit shaky in Perth last week but it's good to get this win."